We settled on a mattress and brought it home today, and she’s been jumping on it ever since. We hope to break her into it and settle her down some so that when the bed frame actually gets here, she’ll SLEEP in it rather than just play! It should be a very interesting week. We also got much of the furniture moved for the new baby room, and we were able to move some things around in the house that now look better than they did before. Sometimes, being practical also helps with interior decorating! Thanks to my mom for the furniture moving suggestions. 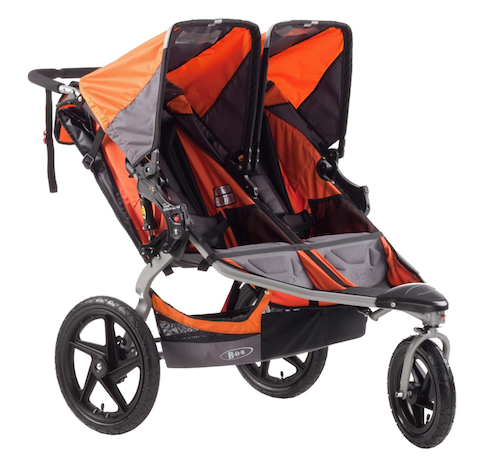 We also got our new BOB duallie stroller (see photo below video below), which Bailey is very excited about as well! Here’s a video of our jumping bean on her new mattress!